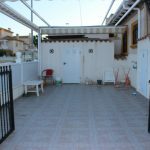 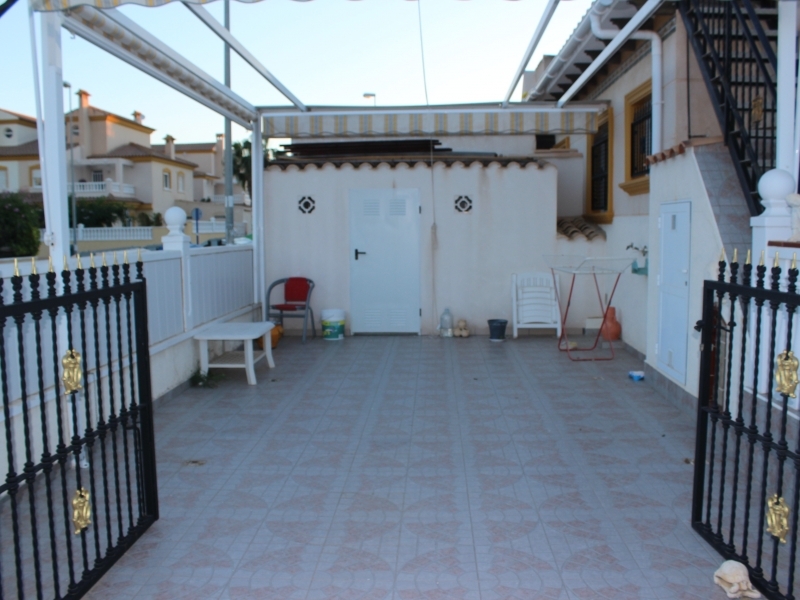 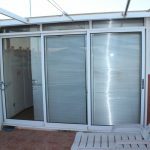 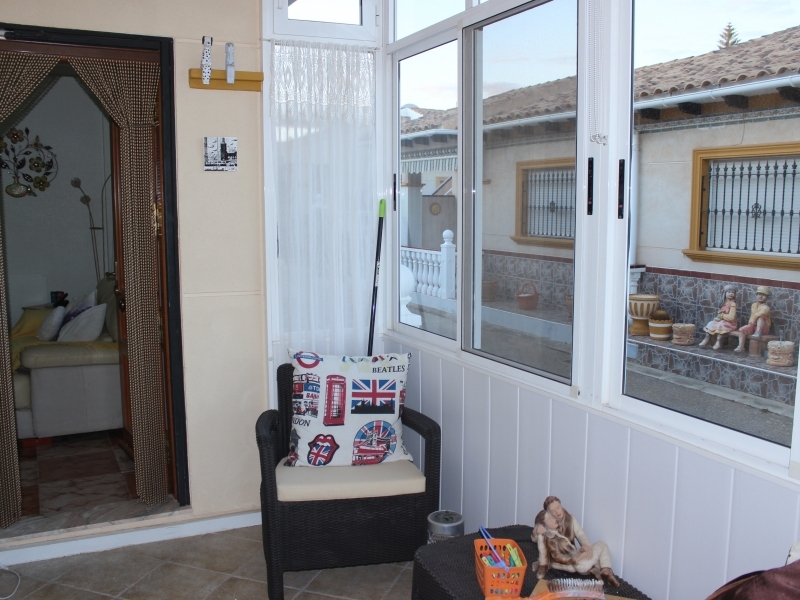 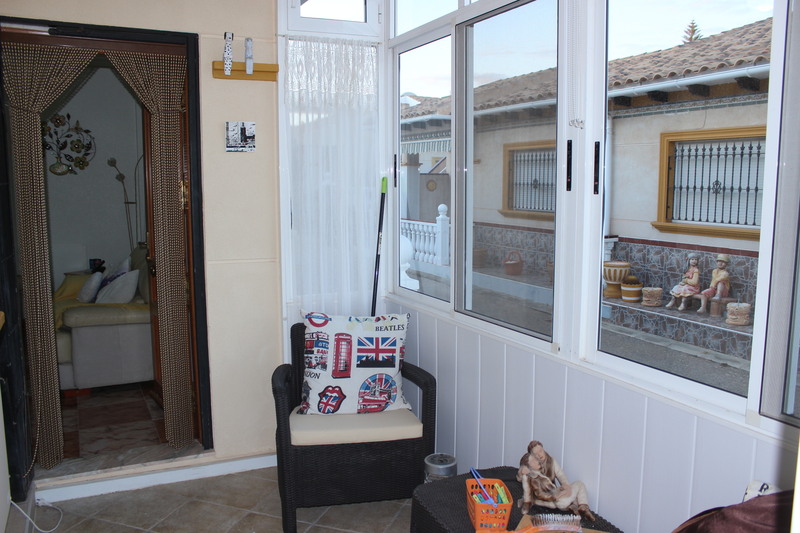 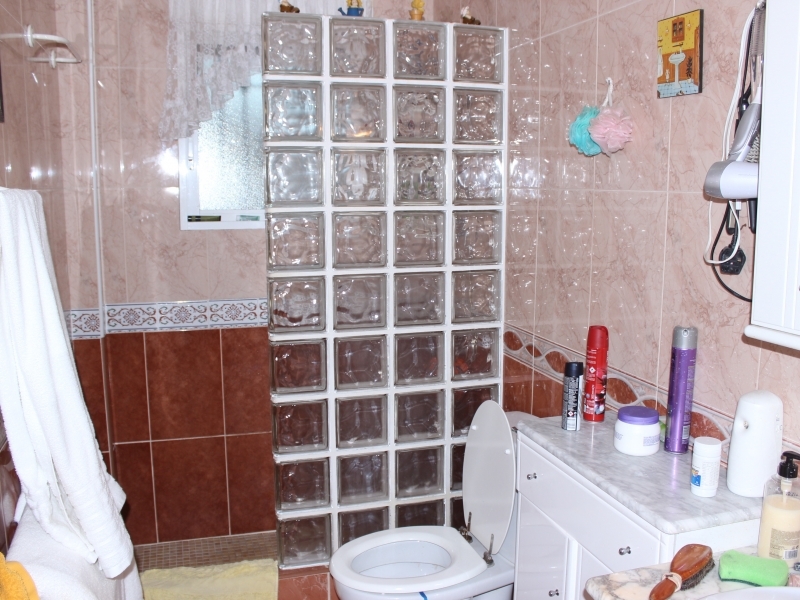 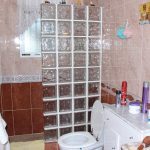 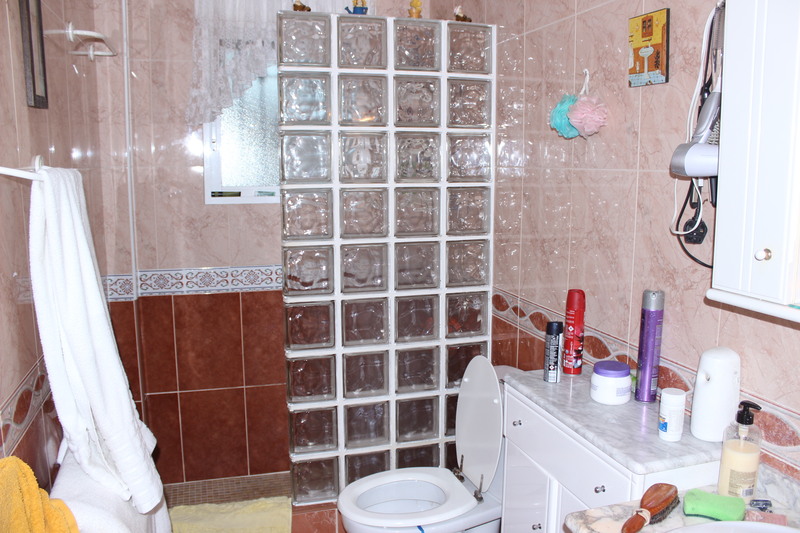 This nice two bedroom, one bathroom Marbella bungalow is for sale on a popular secure, gated urbanisation in Playa Flamenca. 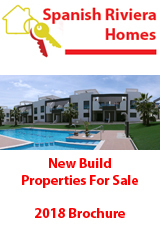 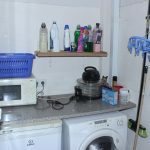 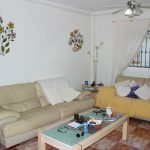 It has a total living area of around 80m2 and is on a plot of around 120m2 and has access to the communal swimming pool. 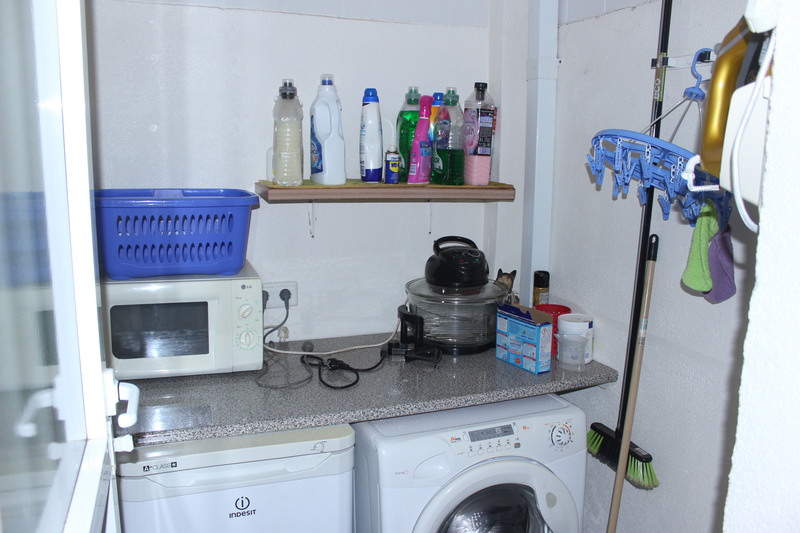 The property has outside space for parking and storage. 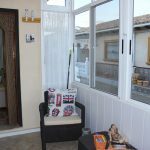 Pass through a glazed enclosure to the main living area. 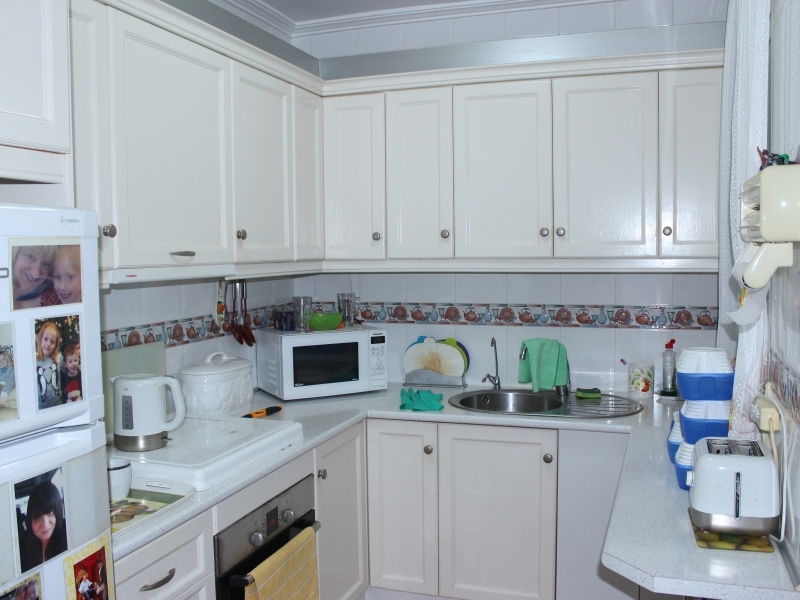 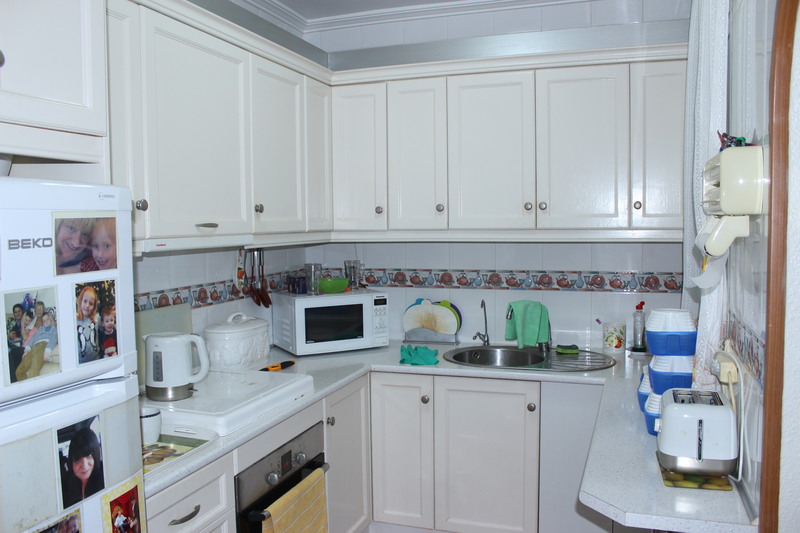 From the main living area you have an American-style kitchen with separate utility area. 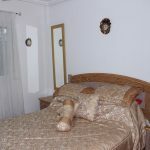 There are also two double bedrooms and a bathroom all on the ground floor. 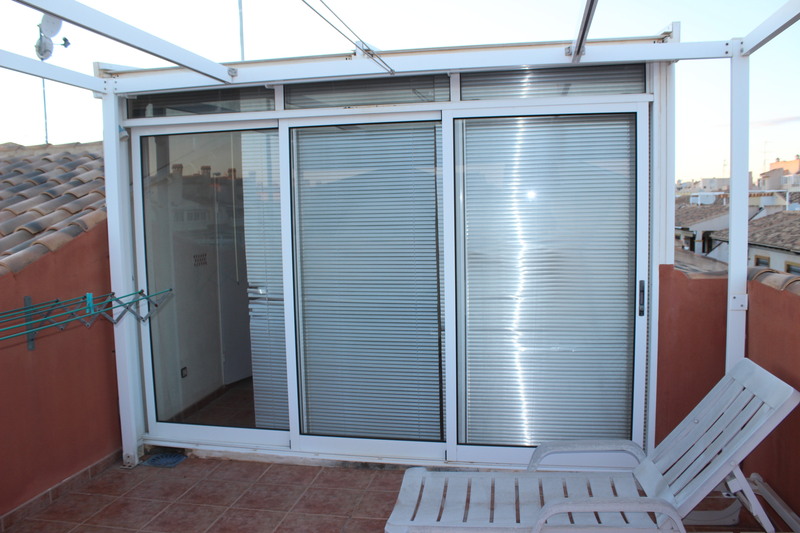 An external staircase leads to the rooftop solarium which also has a separate enclosure which may be used for storage or as a third guest bedroom. 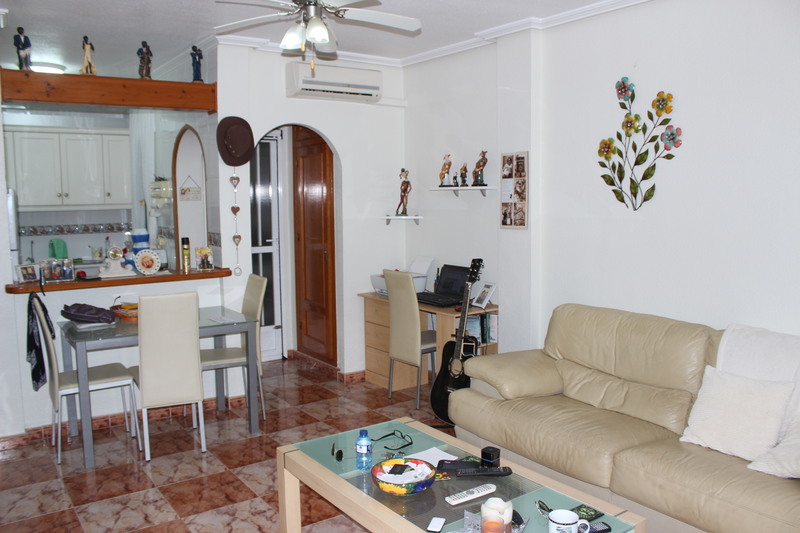 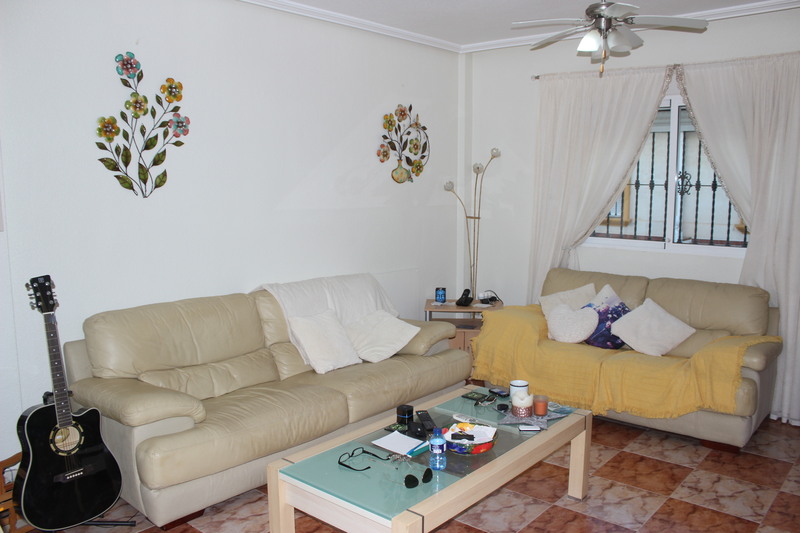 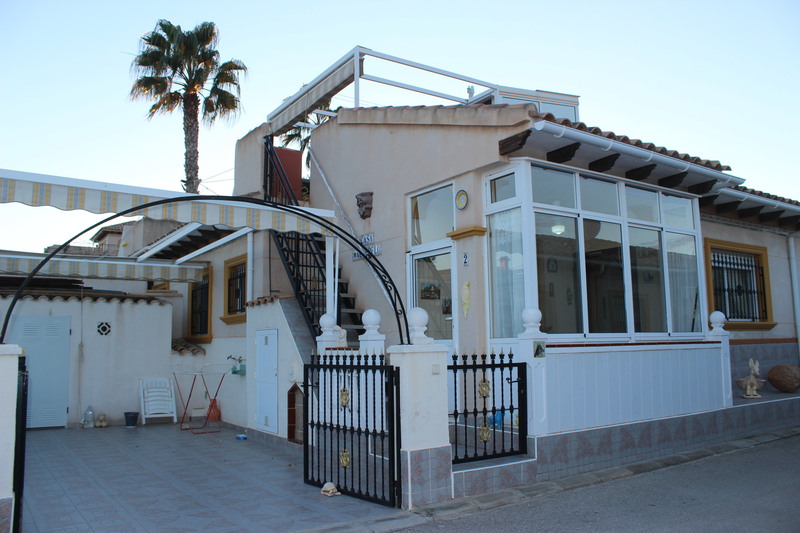 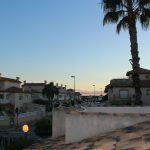 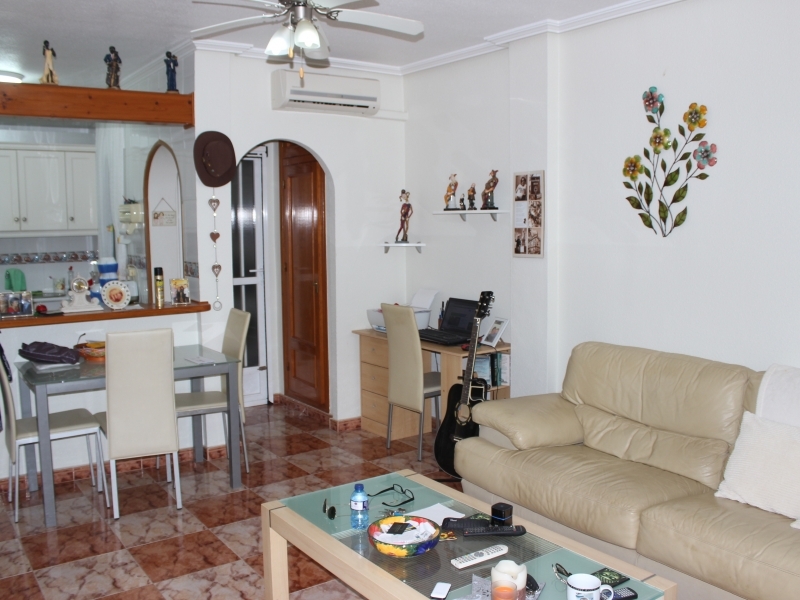 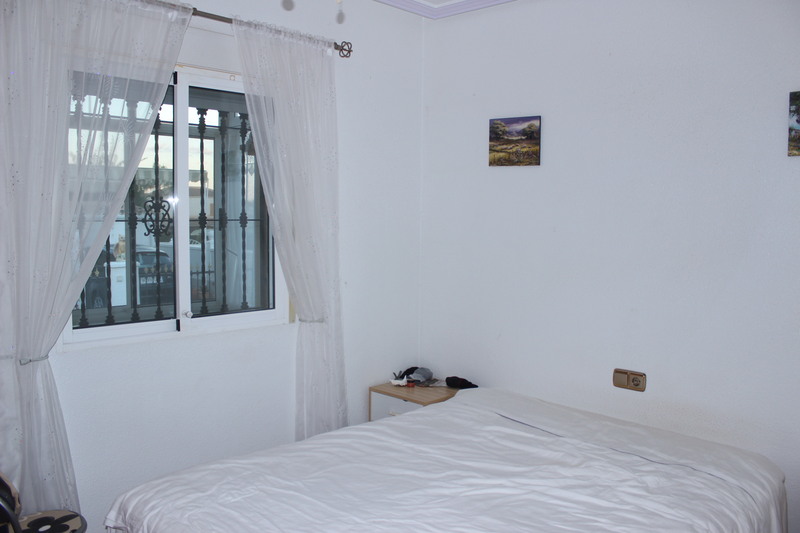 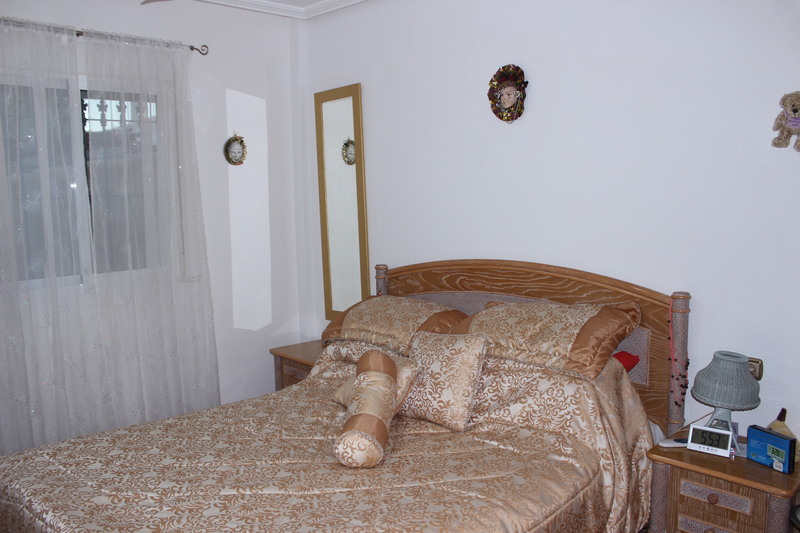 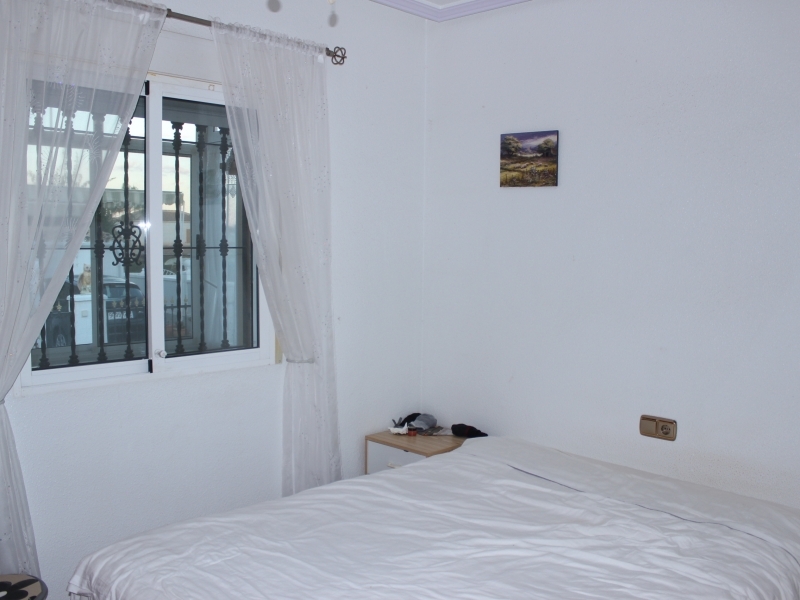 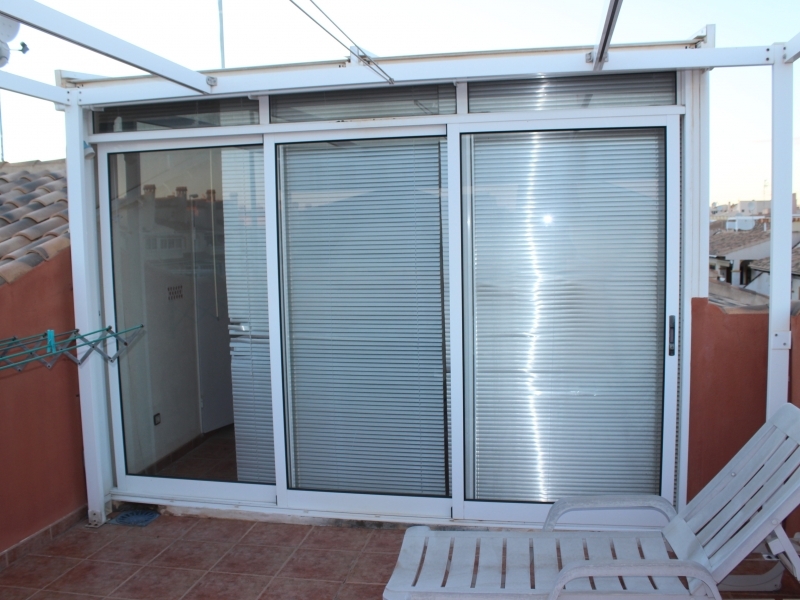 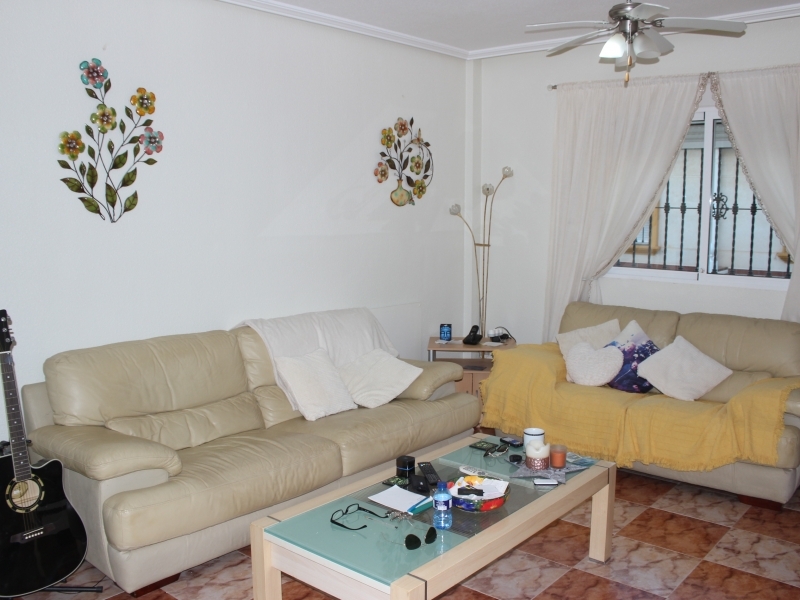 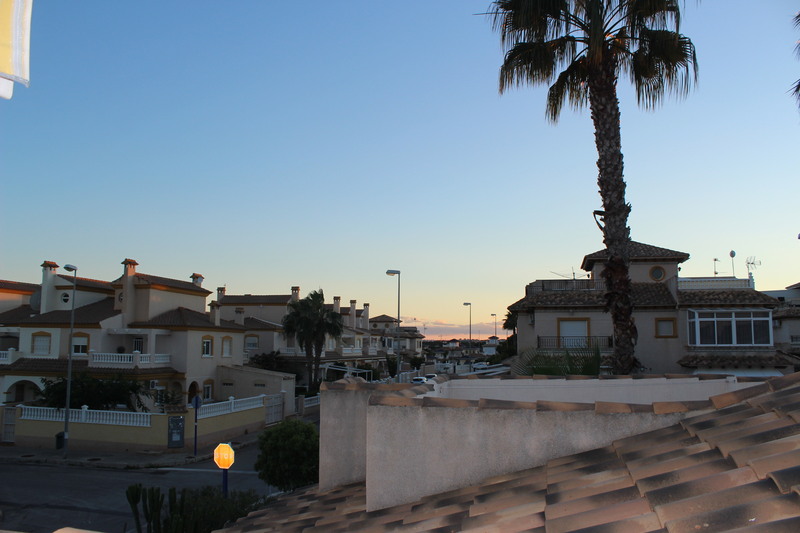 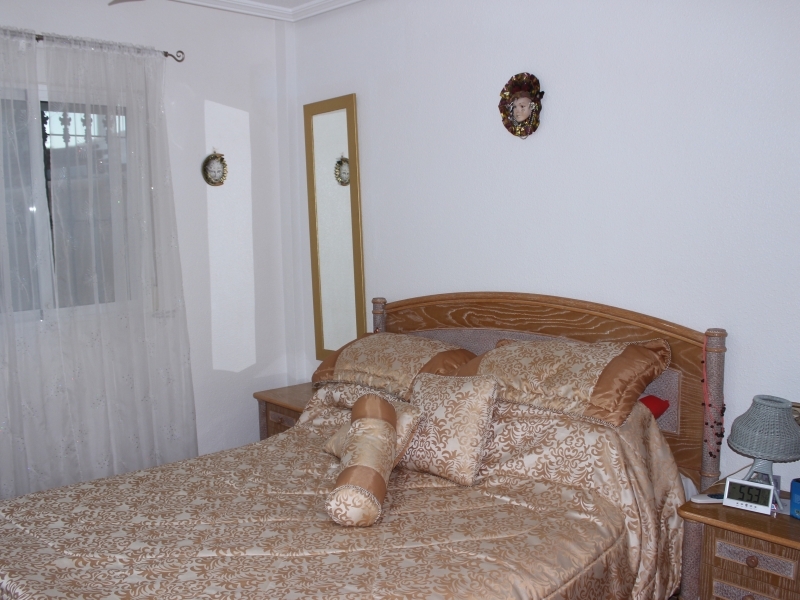 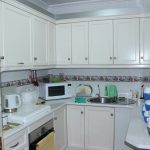 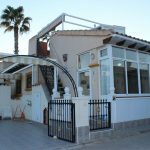 The property is within walking distance to La Zenia Boulevard and many other bars and restaurants. 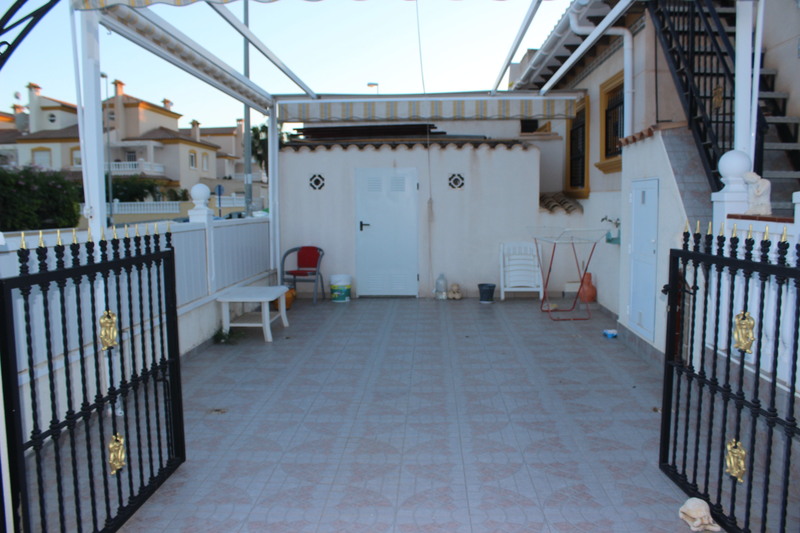 It is also just a short walk to local schools. 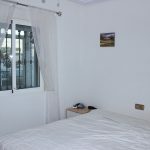 Playa Flamenca Beach is just a 15 minute walk from the property and there are some fabulous golf courses just a short drive away.